Way back when (‘when’ being the late 1980s) a young teenage boy came across a slim novella by a new Scottish author with the intriguing title of ‘The Wasp Factory’. The author was Iain Banks, the teen was yours truly, and what followed was a literary love affair that has now lasted for some two decades (awww…). The writing of Iain Banks was a breadth of fresh air and his first book, a disturbing, tongue-‘n-cheek, twist-at-the-end chiller with at least one indelible image that I still find unsettling to think about (if you’ve read the novel you’ll probably guess the one), was a deserved best seller. Since then he has gone on to write some 12 novels with varying degrees of success but always with extravagant ability and he remains one of the most highly regarded ‘New Wave’ of Scottish writers working today. In 1987, in his first Science-Fiction novel ‘Consider Phlebas’ (under the name Iain M. Banks), he introduced us to his greatest creation: the Culture. This was conceived of as a peace-loving, galaxy-spanning civilization whose technology was thousands of years in advance of our own, with unlimited resources and an ultra-ultra-liberal society guided or watched over by sentient machines or ‘Minds’. In many ways of course it was the sort of high-tech Utopian vision of a typical 1980s’ Leftie from Scotland, and it shows, but Oh My God what a welcome contrast to the uptight, folksy American Sci-Fi that dominated the shelves of the Forbidden Planet and other purveyors of all things SF in the ‘80s and 1990s. The Culture was, and is, just so damned European, informed by European ideals of personal freedom coupled with social responsibility that it is hardly surprising that some American readers found it uncomfortable stuff (as one US friend commented to me, ‘It’s just so damn socialistic…!’). However don’t let that make you think Banks’ books are some sort of political pamphleteering – there is no hidden agenda here. Far from it. They are invariably wide-screen space operas with bells and whistles attached that simply outshine, outdo and out-think most other contemporary Science-Fiction. None of your George Lucas or Gene Roddenberry rehashes here. Banks takes his fiction to the most fantastic places, far away yet always familiar. He works on the grand scale and the entirely human one. His Culture books feature stories inspired by topics as diverse as superpower rivalries, terrorism, genocide, racism, socio-economic struggles, feminism and colonialism. You name it in the real world and Banks has probably addressed it in one of his countless fictional worlds and eerie echoes of our own global history echo throughout his works. Yet none of this is at the expense of damn good yarns with damn good characters. Everything is grist to the literary mill and it is turned with an expert hand by someone who is a natural proponent of his art. 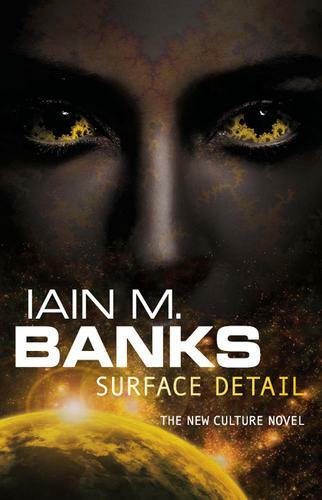 Iain Banks is not just a great Sci-Fi writer he is a great writer full stop and that makes all the difference. If you want to try his SF then the place to start is of course ‘Consider Phlebas’, a typical Banksian space opera (with brains and a message), with the best spaceship chase sequence you’re ever likely to read. It has all the basic ingredients that come to maturity in his later works and is the perfect place to dive into the Culture universe. 03/04/2013: A very sad update.